United Renewable Energy Co., Ltd. (URE), Taiwan’s largest solar enterprise, was officially listed on the Taiwan Stock Exchange on 1st October. 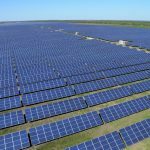 With the support of government funding, Neo Solar Power Corp., Gintech Energy Corp. and Solartech Energy Corp merged to become URE with the goal to operate as a larger and more efficient player in the solar photovoltaic (PV) market. URE also presented its brand and product portfolio during Energy Taiwan 2018, a trade fair for the green energy industry held during 19-21 September. 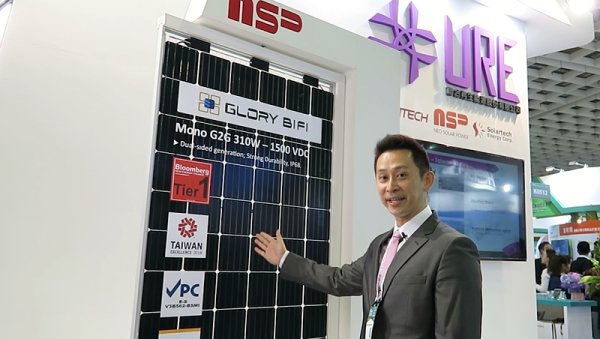 Alpha Wen, the deputy director of URE, stated that his company as the most vertically integrated solar enterprise in Taiwan will offer the best and most comprehensive services to clients worldwide. The government of Taiwan regards renewable energies as a key policy issue and intends to make solar PV an important part of the island’s power generation infrastructure. Wen pointed out that URE was originally a PV cell manufacturer but has gradually expanded its businesses including module assembly, development of utility-scale PV systems, and financing renewable energy projects. While the company features the most complete vertical integration within Taiwan’s renewable energy sector, it is also committed to the idea of being at the forefront of the solar industry with respects to technology, quality, and services. Wen also praised Taiwan government’s efforts to actively set renewable energy policies. The implementation of the feed-in tariff scheme and freeing up more lands for renewable energy projects have created more opportunities for the domestic solar industry. Wen emphasized that URE maintains a strong and productive relationship with the government since the company was established with its blessing and support. In the future, URE will continue to cooperate closely with the government and develop renewable energy businesses in ways that complete the government’s policy directives. Considering the changing market dynamics, URE plans to raise its PV module production and build a strong brand name in the global module market while scaling back on the production of PV cells. For the medium to long term, URE aims to deepen its penetration in PV systems market and provide all-round service that encompasses system design, operation and maintenance, and financing. On the technology front, URE will continue to develop the heterojunction (HJT) technology, which is expected to form an important part of the company’s high-quality, holistic solutions for clients. Apart from solar PV, URE has also established an energy storage team to explore future market potentials related to batteries and hydrogen fuels. Wen mentioned that there is a wide range of applications for energy storage technologies besides supporting solar power. 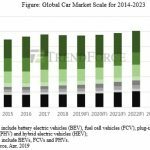 The automotive industry, for example, is one of several industries that are demanding more efficient energy storage systems. URE therefore welcomes any opportunities for cross-industry collaborations and pursuits of innovative ventures, especially if these activities take advantages of the market environment and align with government policies.